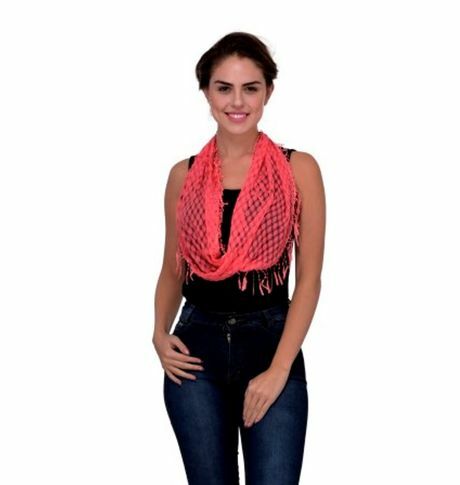 An easy to wear infinity scarf , A versatile way to add style to any outfit.Great for dressing up any outfit all year round, suited for both formal and casual. • Customers can request returns within 10 days from purchase of item. • In case of returns, the entire order item value will be refunded. • Refunds back to credit card, debit card, net banking or bank accounts (NEFT) are fully refunded within 7 working days after we receive product with its brand tag / barcode attached. • Items returned because they arrived in a damaged / defective condition or if the item delivered turned out to be different from what was ordered will be eligible for replacement, provided the exact item is still available with us. • Customers will have to bear the return / replacement/ customs shipping cost. An easy to wear infinity scarf , A versatile way to add style to any outfit.Great for dressing up any outfit all year round, suited for both formal and casual. Cancellation and Return Policy: • Customers can request returns within 10 days from purchase of item. • In case of returns, the entire order item value will be refunded. • Refunds back to credit card, debit card, net banking or bank accounts (NEFT) are fully refunded within 7 working days after we receive product with its brand tag / barcode attached. • Items returned because they arrived in a damaged / defective condition or if the item delivered turned out to be different from what was ordered will be eligible for replacement, provided the exact item is still available with us. • Customers will have to bear the return / replacement/ customs shipping cost.